Riverside police said 34-year-old Avimael Lopez sexually assaulted a young girl in a bathroom at a restaurant on Monday, June 6, 2016. RIVERSIDE, Calif. (KABC) -- A young girl was sexually assaulted by an employee inside a Riverside restaurant bathroom, according to authorities. Riverside police said the sexual assault happened at a restaurant in the 1700 block of University Avenue at about noon on Monday. Officials said the young girl went inside the bathroom, and a short time later, her mother went to check on her. 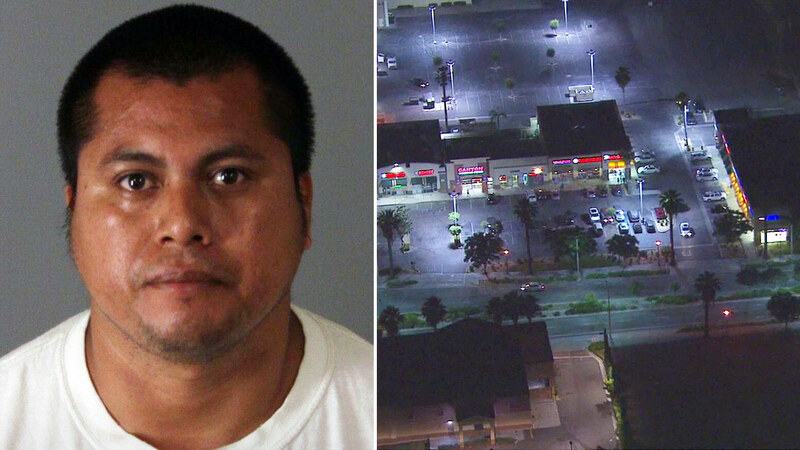 That's when police said the mother found the employee, 34-year-old Avimael Lopez of Riverside, inside the same bathroom. Detectives responded to the scene and later determined Lopez sexually assaulted the child while inside the bathroom. Lopez was arrested and faces charges of engaging in oral copulation or sexual penetration with child under 10, kidnapping victim under 14 years old, and lewd act with a child under 14 years old. He was held at the Riverside County Jail on $2 million bail.